Did you know how critical an issue power usage is becoming thanks to the growing demand on servers? Energy efficiency in data centers is quickly becoming not just a localized issue, but a worldwide matter. Large players like Microsoft and Google are pouring time and money into data center energy solutions. As a result, Google’s servers running around twice as efficiently than average. Microsoft is working on an undersea compact data center. Microsoft is also testing the use of large batteries on its Virginia data center campuses to see if they will help level out large variations in electric demand that occur on a daily basis. “In the future, you don’t have a data center or a power plant. It’s something in the middle. A data plant, for example, where this thing isn’t just a load on the grid, it’s an asset on the grid.” A nice thought, but still in its experimental stages, and so a long time off from fixing our immediate needs. Perhaps more importantly, it does not address what typical data center operators with a smaller scale than Google can do at the present time. Google has the man-hours and money to throw at expensive and time-intensive projects. What can smaller data centers do now? You may already have heard how efficient systems like hot aisle containment or cold aisle containment can significantly up the energy efficiency of a data center. Simply air conditioning a server room can create substantial amounts of greenhouse gases, resulting in high electric bills with carbon levy taxes tacked on. 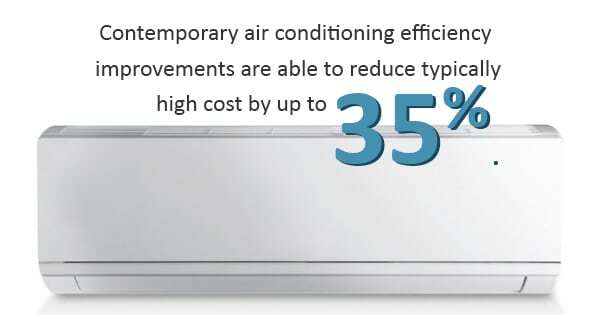 Contemporary air conditioning efficiency improvements are able to reduce typically high cost by up to 35%. The savings in utility costs can be significant for a center when they utilize thermal containment systems and the latest technology. Even if funds are tight, slowly begin to replace old equipment and rework key places where efficiency is costing you money and adding a strain onto the electric grid. Start with your electronic cabinets and server rack enclosures. Work your way to full-scale thermal containment systems. Transitioning partly to cloud computing is both energy-efficient and beneficial to security. Until large-scale Google tech is optimized and trickles its way down the ladder, starting with a simple electronic cabinet isn’t just a drop in the bucket; it really does make a difference.